Martin Spier: Building, scaling and making things faster. I build, scale and make things faster. Performance Engineer @ Netflix. Advisor @ monashees+. Entrepreneur. Adventurer. I’m an engineer, more specifically, a performance engineer @ Netflix, the world's leading entertainment service and largest single source of internet traffic in North America. I try to fill my days trying to make Netflix as fast, efficient and resilient as possible, from your iPhone client to the operating system powering all our backend services. I've developed multiple open source tools like Vector and FlameScope, created plugins like d3-flame-graph and d3-heatmap2, and contributed inumerous other projects. Internally at Netflix, I've created Icarus, Netflix's real-user performance monitoring solution that runs on every single Netflix device on the planet. 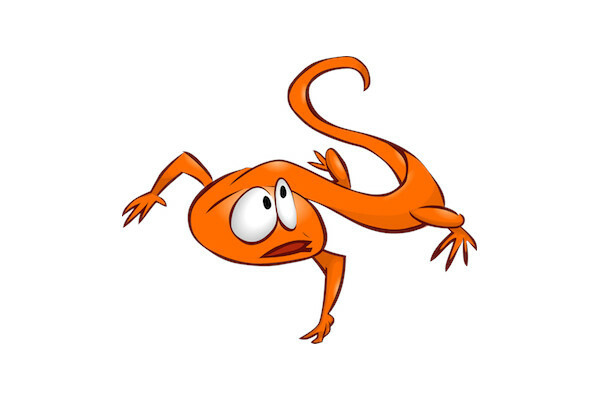 Developed Mogul, a bottleneck analysis tool that inspects internal and external dependency demand for services and help us identify bottlenecks and tuning opportunities. Developed Slalom, a high-level demand analysis tool that helps visualize demand flow on large scale systems. Worked on metric trending that helps us identify long-term performance regressions. Developed the in-house cloud performance testing framework, analysis tool and fully automated analysis engine for performance tests. I'm also a Venture Advisor at monashees+, one of the largest venture capital firms in Brazil, where I try to understand the tech level of prospective startups and help the invested ones to grow! Besides the portfolio startups, I advise multiple companies, of all sizes and shapes, on a varied set of challenges. Over the last few years, I've given inumerous presentations, to groups as small as six and as large as 6,000. Most of my talks are technical and related to the work I've been doing at Netflix. I'm also known to seldomly speak on topics related to innovation, technology, engineering leadership, culture, product development, and the Silicon Valley mindset. Besides public presentations, I also talk with companies and individual teams, locally in the Bay Area and remotely, about a varied set of subjects. I tailor each session to the audience and strive to create the outcome you want to create! If you're interested in a speaking engagement or meeting, scroll to the contact area to get in touch with me, and include the event date, location and your expectations in the message. Here you can find a few open-source projects I'm currently involved with, in one way or another. 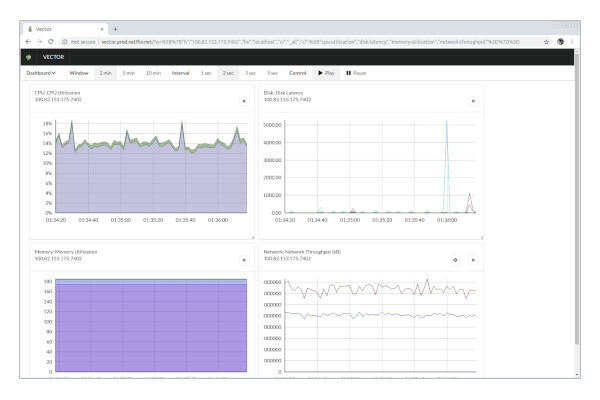 Vector is an open source on-host performance monitoring framework which exposes hand picked high resolution system and application metrics to every engineer’s browser. Having the right metrics available on-demand and at a high resolution is key to understand how a system behaves and correctly troubleshoot performance issues. 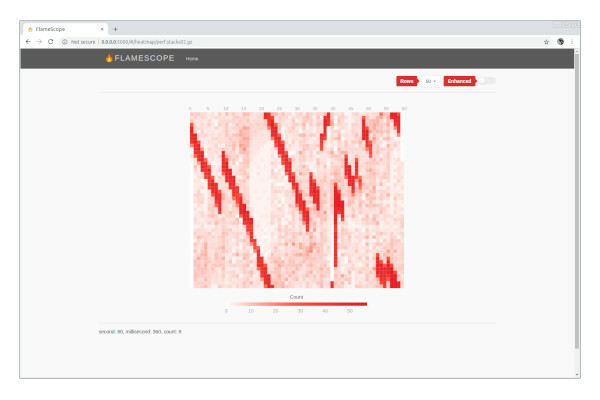 FlameScope is a visualization tool for exploring different time ranges as Flame Graphs, allowing quick analysis of performance issues such as perturbations, variance, single-threaded execution, and more. FlameScope begins by displaying the input data as an interactive subsecond-offset heat map. This shows patterns in the data. You can then select a time range to highlight on different patterns, and a flame graph will be generated just for that time range. 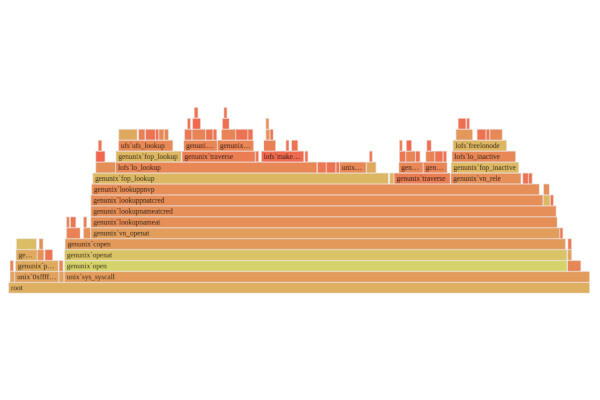 burn 🔥 is a CLI tool to convert performance profiles (perf_events, pprof, etc) to hierarchical data structure that can be visualized as flame graphs, with the help of the d3-flame-graph plugin. burn 🔥 can also generate a self contained html flame graphs from the same data. A D3.js plugin that produces flame graphs from hierarchical data. Flame graphs are a visualization of profiled software, allowing the most frequent code-paths to be identified quickly and accurately. 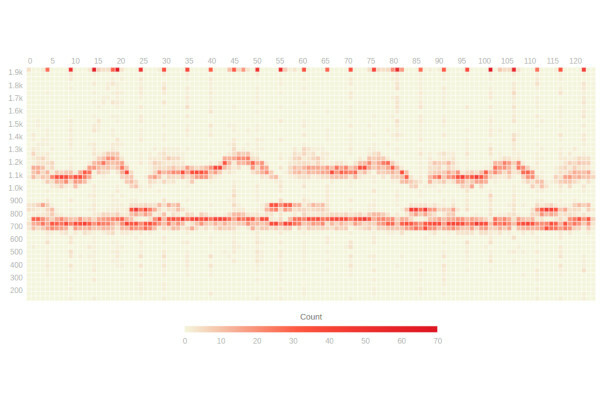 A D3.js plugin that produces heatmaps. 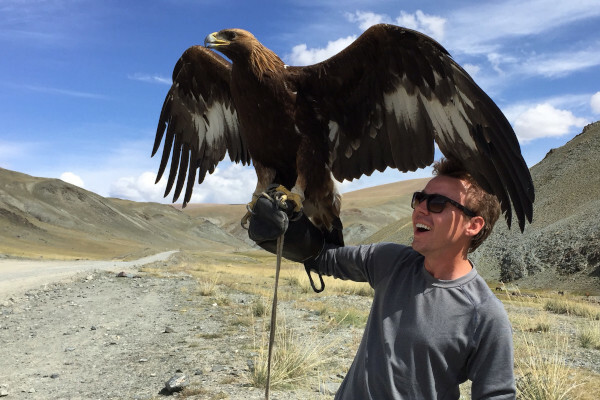 MyAdventure is a place to share your adventures with the world, from your weekend trip to Yosemite, to your 12-month overland adventure in Africa. We know that every detail of your adventure can inspire and help others to do the same. 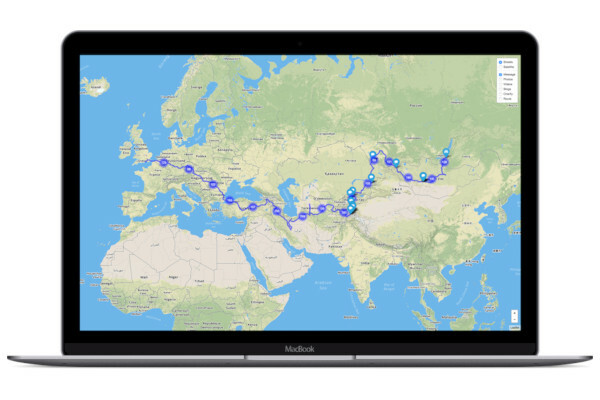 That's why MyAdventure provides a platform for you to share everything, integrating satellite trackers, social networks, interactive maps with an easy-to-use mobile app that works anywhere, even without internet access! These and a other projects can be found on GitHub. I love to travel, adventure, not tourism. Getting to know new places, new cultures and new people are the most fulfilling things one can experience in life. I’ll jump into a plane or back of a truck at the smallest opportunity. Overlanding, backpacking and adventure traveling are the best ways of getting to know new places, not in 5-star hotels and guided tours! In 2015 I completed the Mongol Rally, driving over 12.000 miles, across 21 countries, over 2 months, for charity. It was one of the most amazing adventures I experienced so far, and hopefully, the start of something incredible! I'm still going over all the pictures and working on what will soon be a great series of posts on Medium. 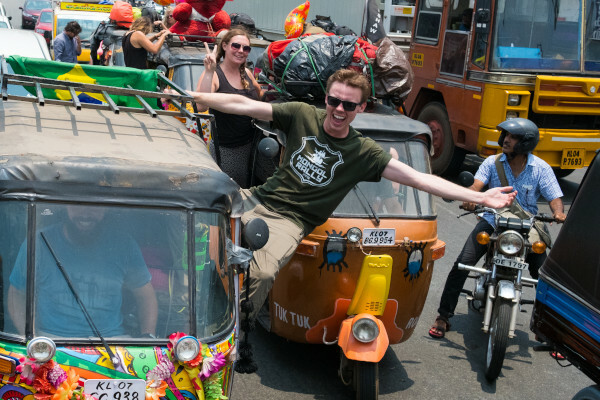 In 2017, I participated in the Rickshaw Run, driving a tuk tuk in India, top to bottom, from Rajasthan to Kerala. Over 3.000 km, with a max speed of 30 km/h, downhill. 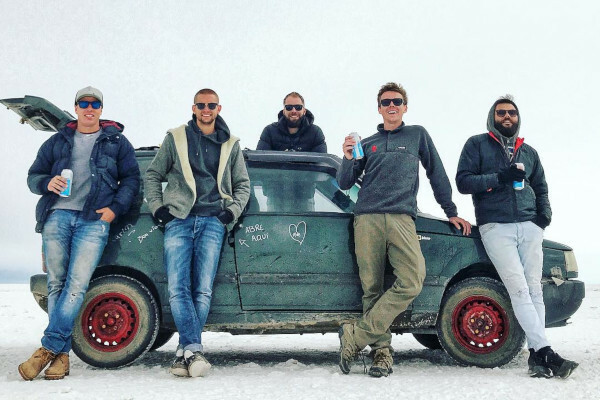 Earlier in 2018, me and a few frieds decided to drive old VW Bugs from South Brazil to Peru! We lost a car (and a participant) on the way, but we managed to visit Iguazu Falls, cross the Andes, the Atacama desert, drove into Salar de Uyuni in Bolivia, went to Lake Titicaca and Machu Picchu, and arrived in Cusco to complete our month-long adventure. According to TripAdvisor, I visited north of 40 countries, hundreds of places, and that's less than 20% of of the world!